With the gaming industry growing leaps and bounds, the focus of gaming is increasingly moving towards a social angle, like online multiplayer, live streaming and mobile gaming. Millions of people are playing the newest games, and to understand the full potential of the game, they are all turning to a common source, gaming videos. So, what is the deal with the huge network of game streams and screen captures, so much so that even YouTube has jumped on the bandwagon with YouTube Gaming? Recording our games, and sharing them on the internet, be it with our friends, or be it on your YouTube or Twitch channel, has become an essential part of our social gaming experience. After all, wouldn’t you want to brag to your friends about that amazing headshot you just did in Counter-Strike, or the sick drifting action in Need for Speed: Payback? The concept of recording our PC screens is not a new one, but it is also a field which has been troubled by lack of decent performance, latency issues and what not. There are tons of game recording software available, both paid and free. You do not require any special equipment or fancy PC either. Any modern computer will do the job just fine. Let us discuss the best ways to record your PC gaming, so you can choose the best one for yourself. People using the newest Windows 10 Operating System have a very straightforward solution built into the operating system. Windows 10 has a game recorder built into the XBOX application. You can simply bring up the Game Bar within any game by pressing Windows Key + G Button and start a recording by hitting the shiny red record button. The plain and simple fact why Windows 10’s Game DVR feature will be enough for the average gamer, is simply because it comes pre-loaded with your operating system itself. No need to download extra software, no more hassles. Just press the button, and voila. If your computer uses a Nvidia Graphics Card, this is an absolute no-brainer. Nvidia’s Graphics Driver and the GeForce Experience tool includes the ShadowPlay utility within it to record gameplay easily. To use ShadowPlay for recording your games, you need to have GeForce Experience open, then press the Alt Key + Z button to bring up the interface. Not only can you record high-quality 4K footage, you can directly stream to YouTube or Twitch Live as well. Twitch and YouTube Live Integration. 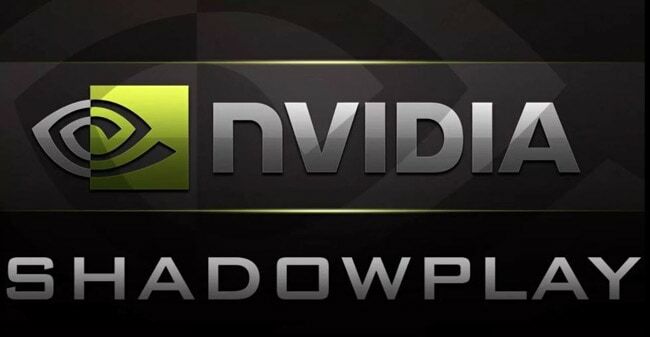 ShadowPlay is the best solution for Nvidia users, but unfortunately, due to the very same reason, it cannot be used by people running other graphics cards, from the likes of AMD and Intel for example. Radeon ReLive is AMD’s software equivalent to Nvidia’s ShadowPlay Utility. Radeon ReLive comes bundled with AMD’s Catalyst Control Center, and allows AMD Radeon Graphics Card users to capture their best gaming moments in just a few clicks. Similar to ShadowPlay, ReLive is developed to take advantage of the compute cores of AMD Radeon Graphics Cards, and thus allows high-quality recordings with very little to no performance impact. It also has some nifty bonuses like screenshot support, watermark support and so on. Ultra HD 4K Recordings (only on select graphics cards). Radeon ReLive is by far the most optimal solution for AMD Radeon users. It is optimized for the specific architecture used in the Radeon compute cores and thus allows tremendous quality with almost zero performance impact. Unfortunately, similar to ShadowPlay’s limitations, it cannot be used by people running other graphics cards, from the likes of Nvidia and Intel for example. 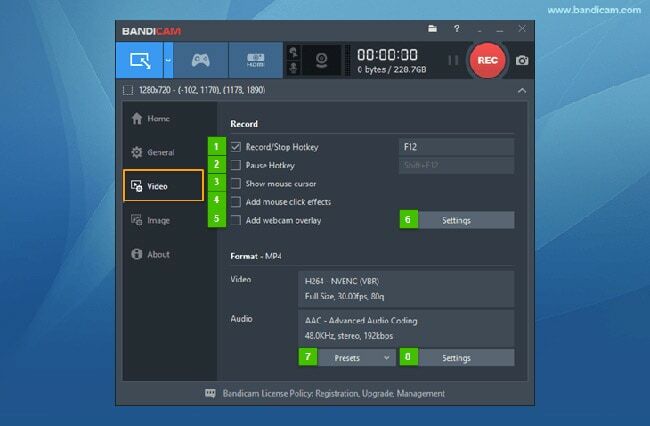 Bandicam is a lightweight and intuitive screen recorder, tailor-made for gamers. Essentially Bandicam is a general desktop recording software, which was later evolved to record gameplay. The major selling points of Bandicam are that it runs flawlessly on any graphics card, be it from Intel, Nvidia or AMD Radeon. It also supports Ultra HD 4K recordings and can be paired with hardware screen recorders (using HDMI passthrough) and dual channel recordings (Screen + Webcam for Live Streams). Bandicam can be used for displaying the game’s framerate while playing as well. Game Recording, as well as Desktop Recording. Supports Hardware Capture Cards (like Elgato Game Capture HD). Graphics Card / CPU usage Overlays. Simultaneous Screen + Webcam recording. Unlimited Time Recordings (limited by storage). Lifetime Guarantee on the product. One thing to note about Bandicam is that it is a paid software. There is a free version, which comes with watermarks on the video and a 10 minute per file time limit. The full version costs around USD 39 for 1 PC license and USD 59 for 2 PC license. The licenses come backed by a lifetime support and guarantee, subject to licensing agreement. FRAPS is better known for its frame rate displaying functionality, but FRAPS includes a simple, but handy gameplay recorder inbuilt. FRAPS allows users to quickly start a recording by pressing a hotkey and has multiple settings to manipulate the recording quality. Apart from game recording, FRAPS can also be used to take screenshots of your game, and run benchmarks to check your system’s gaming prowess. FRAPS is one of the lightest tools out there, weighing in at just over 2MB. Its feature set is not very extensive like some of the other tools we’ve featured on this list, but it gets the job done. Variable Frame Rate (60 FPS, 50 FPS and 30 FPS options). Hotkey Integration for quickly toggling various functions. The free version of FRAPS will leave a watermark on your recorded videos. The full version of FRAPS costs USD 37. This one is a slightly different option than the rest. While software like ShadowPlay and Bandicam are stellar for recording your wicked gameplay, XSplit GameCaster is heavily oriented towards streaming to online services. XSplit allows you to start recording with a single press of a button, while it can configure the settings automatically according to your PC specifications. It covers all the bases, including high-quality recordings, streaming to Twitch, acceleration using the graphics card. Additionally, it has some extras for the streamers amongst you all, like Picture in Picture mode, watermarking, social media integration and so on. Live Streaming to Twitch, YouTube supported. XSplit GameCaster is available in a feature-limited free version, and two tiers of paid subscription. The personal subscription costs USD 4.95 per month, while the premium subscription with additional features comes in at USD 8.95 per month. This one is a bonus for the mobile gamers amongst us. With an increasing amount of quality mobile games and even PC ports coming to Android and iOS, it only seemed fair to feature this on our list. AZ Screen Recorder supports Android Lollipop or higher and lets you record high-quality footage right from your Android mobile phone. It supports pause and resumes functionality as well as webcam support. Unlike most free recorders, AZ Screen Recorder does not watermark your videos. AZ Screen Recorder might be small, it might be free, but it sure isn’t lacking in features. It is by far the best option available on mobile phones, with a feature set which would shame many PC software too. Variable Resolution (1080p Full HD, 720p HD, 480p SD) Recording. Variable Frame Rate (60 FPS, 30 FPS, 24 FPS) Recording. Pause and Resume Recording Support. Audio Recording from inbuilt phone mic. Video Edit and Trim Feature. No Time Limit, No Watermark and No Ads. 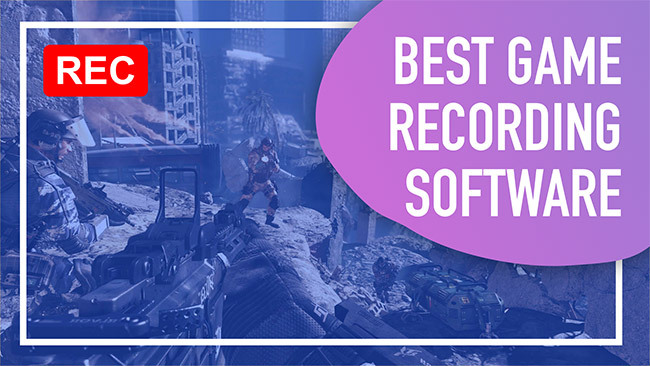 With our comprehensive list of the best game recording software’s, you are now fully equipped to show your mad skills on the internet. We have tried to cover all the bases, from simple software for recording your game with ease to professional grade software which allows you to go down and configure all the nitty-gritty stuff. Let us know if you have any questions or suggestions. And don’t forget to tag us in your recordings and show some appreciation.